The definition of combination packaging is as follows: “combination packaging means a combination of packaging, for transport purposes, consisting of one or more inner packagings secured in a non-bulk outer packaging. It does not include a composite packaging”. This definition is taken from 49CFR 171.8 Definition and Abbreviations. 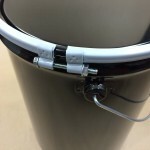 Our steel pail CSCP2-12-01PGI, shown in the picture to the right, satisfies this definition. 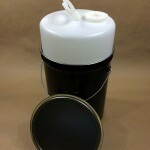 UN rated UN1A2/X50/S, this pail/drum is UN rated for Packing Groups I, II and III hazardous liquids. 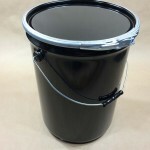 The outer container is steel, however, the inner container is made from high density polyethylene and has one 2″ bung. 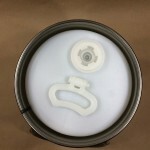 The inner container is filled, then the lid is secured to the pail/drum body with a bolt ring, nut and bolt which are included with the pail. 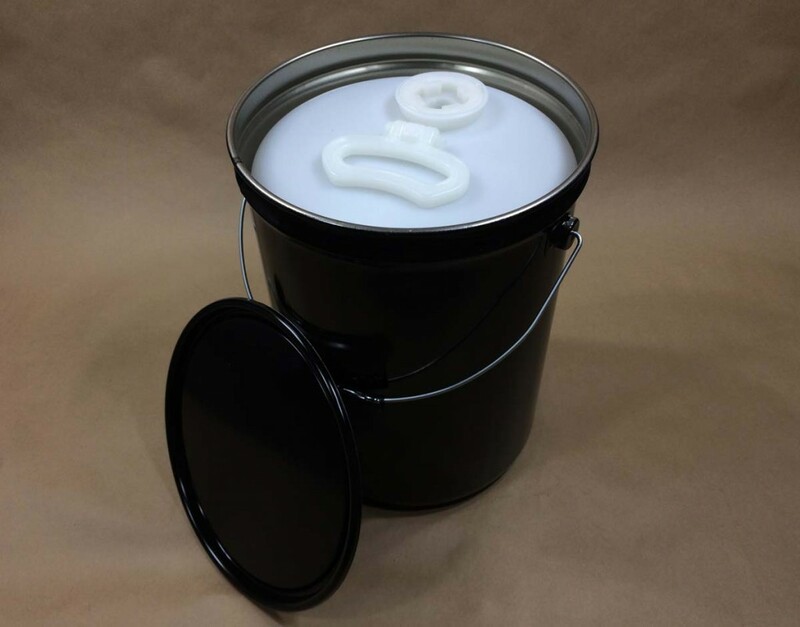 What differentiates this pail from composite packaging is that it can be taken apart and reassembled without ruining the package. This type of package is primarily used when you need the safety of steel but your product cannot come into contact with the steel. 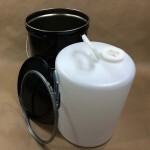 As always, product compatibility with the container is the responsibility of the shipper.